My time spent in Nepal was absolutely unbelievable, a complete once in a lifetime experience from which I have gained so much. Not only has my perspective of healthcare in developing countries changed dramatically but also my attitude to the many privileges I have living in the UK. I’ve returned home from my radiography placement with a fresh outlook on the type of practitioner I want to be and the quality of care I want to provide to patients, all thanks to my placement with Work the World! Prior to this trip, I had never left Europe before so upon arriving at Tribhuvan Airport in Kathmandu I didn’t really know what to expect. Words just don’t do justice to the feeling that you get stepping off the airplane, the noise and bustle of Kathmandu close by, the mountains that rise above the clouds surrounding the landing strip, you just know you’re in for an epic adventure. I spent my first week being an awkward tourist in Kathmandu, visiting all the local attractions, taking lots of photos, getting lost in the side streets of Thamel and stuffing my face with “Momos”! I then took a quick 25-minute flight to Pokhara to begin my placement. My time spent in Pokhara was unforgettable. The Work the World house is located in a perfect location and the local orientation tour provided by Dolly, the Assistant Programme Manager, is really helpful. 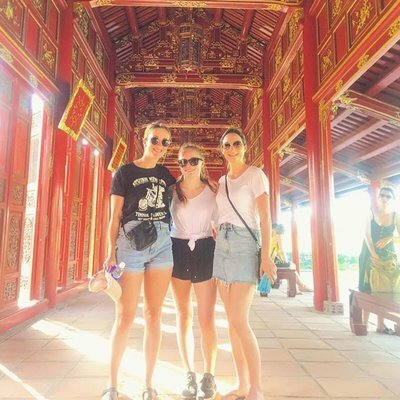 The house itself is very welcoming, all of the students there are in the same position as you, doing a placement overseas, so it takes no time to make friends and settle in. You eat breakfast and dinner with people from all over the world, studying different healthcare courses and you leave with friends from really cool places - New York, Miami, Melbourne, Malaysia etc. I was placed in the radiography department and rotated around different specialities over a period of 3 weeks. The local staff, both radiographers and radiologists are really approachable, friendly and interested to hear about the equipment and examinations we carry out back home. While at times a language barrier did exist, it didn’t really take away from the experience and I generally understood what was happening, thanks to the language lessons Work the World and the teacher, Prem, provided at the house. I found that initially it helped to break the ice with staff by attempting to speak some Nepali, although speaking Nepali in a Northern Irish accent did just make them laugh. I worked my way through CT, MRI, Ultrasound and plain film imaging and while some similarities do exist to radiography departments in the UK, there are so many things done differently that aren’t routine in the UK. I saw a wide range of uncommon and rare conditions that were quite advanced and it was fascinating to watch the treatment plan and what modalities were being utilised in the patients’ care. Again, words can’t describe the clinical experience within the hospital and there were times that I was genuinely shocked by what I saw, but knew that it was part of the experience. I felt that the assistance I received from Work the World before my arrival in Pokhara really prepared me for the experience. My time spent outside of the hospital wasn’t wasted. You can squeeze so many adrenaline rush activities into your time in Pokhara, which has so much to offer, or alternatively just take it easy and chill with cocktails by the lake. I went white water rafting, trekked for 3 days to watch the sun rise over the Himalaya’s, abseiled down huge waterfalls, cliff jumped into rivers, watched the sunset behind Pokhara on a mountain peak, and there was so much left to do that I just never had enough time to do. 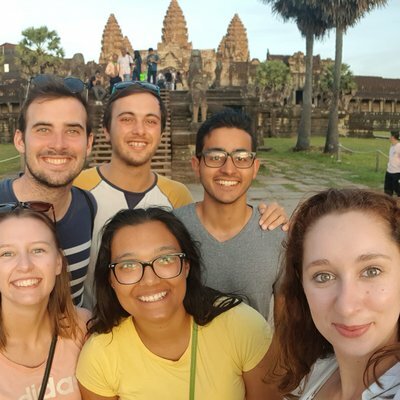 If you’re thinking of doing your elective placement abroad, even just a little bit, stop thinking about it and just take the chance and go for it. Work the World were fantastic, I had the best craic in Nepal, met some amazing friends from around the world and it has sparked a bit of an adventurer inside me. 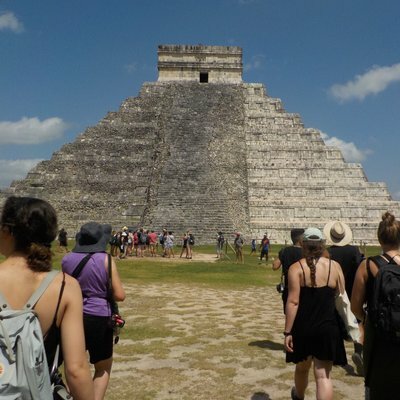 For me, it was the perfect way to finish my degree and I would thoroughly recommend the trip for anyone out there thinking of heading overseas for their elective. Just go for it, you won’t regret it!